Many people over the years have pointed out that the Borough Green Bypass will only help Borough Green and Platt, and we have been justifiably wary that "slips" were a ploy to delay or stop our Bypass. However, it is a terrible failing of the motorway network that Sevenoaks and the Villages on the A25 corridor have gained little or no benefit from the desecration of the Holmesdale Valley by the M26/M25. Whilst there is clearly no funding now, as the economy picks up, there will be renewed activity on the M25 widening in this section, and that is when we want schemes on the table to be included in giving us full access to the National Motorway Network. 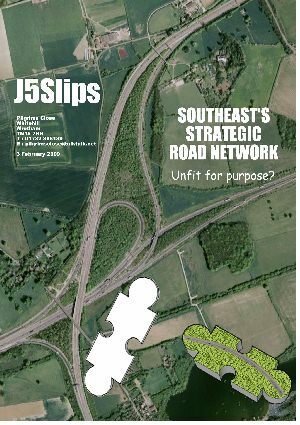 BG-TAG Chairman Tim Shaw has begun a campaign to join all the communities on the A25 corridor together in an attempt to persuade the Highways Agency to incorporate Slip Roads at Junction 5 whilst they are in the process of redesigning the M26/M25 junction. Most of the affected Parish Councils have now joined the campaign.